Many factors impact crop success, such as field conditions and seed variety. What might grow really well at one farm might fail miserably a few miles away. 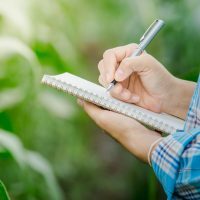 To help farmers learn how to find the best varieties for their particular growing conditions, the Midwest Organic and Sustainable Education Service (MOSES) has partnered with the Organic Seed Alliance (OSA) and the University of Wisconsin-Madison for four on-farm workshops this summer. Workshop participants can tour ongoing trials and hear why the farmers chose the crops they did and how they designed the trials. OSA and University of Wisconsin educators will talk about the benefits of conducting on-farm trials and how to design them to meet a farm’s goals without adding unnecessary work. Broccoli at We Grow, Westboro, Wis.
Thursday, June 28, 2 to 4:30 p.m. This a produce farm in Taylor County, Wis., is trialing hoop house broccoli. The farm also grows a wide variety of vegetables using organic certified, non-GMO seeds. Potatoes at PrairiErth Farm, Atlanta, Ill.
Sunday, July 1, 2 to 4:30 p.m. This trial location features yellow potatoes for early vigor and yield. PrairiErth Farm is a diversified operation with field crops, livestock, and 20 acres of vegetables, fruits, and flowers. Food-Grade Corn, Cover Crops at Hughes Farm, Janesville, Wis.
Thursday, July 12, 8:30 a.m. to 3 p.m.
Hughes Farms includes over 5,000 acres of tillable land. This field day opens with information on growing small grains, and using cover crops for fertility and weed control while reducing soil erosion and improving water quality. Organic Seed Alliance will talk about the farm’s food-grade corn and cover crop seed trials. Kale at Riverbend Farm, Delano, Minn.
Tuesday, August 7, 2 to 4:30 p.m. This trial location features curly kale for midseason palatability. Riverbend Farm is an organic vegetable farm that provides produce to a CSA, restaurants, food co-ops, and schools. Farmer Greg Reynolds is experienced at saving seed for improved performance. Workshop participants will receive the newly released Grower’s Guide to Conducting On-Farm Variety Trials, with instructions for conducting simple-yet-scientific variety trials. This 55-page guide covers the process of planning, implementing, evaluating, and interpreting a variety trial. The guide was created with input from MOSES, OSA, the university and other partners. It’s also available free online at seedalliance.org/publications/growers-guide-conducting-farm-variety-trials. In addition to the guide, project partners have developed the Variety Trial Tool, an online resource to help farmers plan a trial, create data sheets and maps, visualize trial results, and share results with others. The tool is online at organicseed.shinyapps.io/OrganicTrials. The variety trial guide and online tools were funded in partnership by USDA, Risk Management Agency, under award number RM17RMEPP522C027.